Ripping DVD is a common practice, because there's always someone who'd like to rip DVD to hard drive to rebuild their movie library or digitize DVD to MP4 so as to play their discs outside the disc tray, especially when they are on a trip. But the legality about DVD ripping is still obscure, leaving many questions like "is it legal to rip DVDs" unanswered thoroughly. Here in this article, you will get full answer of the legitimation of DVD ripping subject. To figure out the question, you need to be clear on what DVD copyright law is (mainly on US laws). DVD copyright laws are enforced to protect the rights of the people who create the original work. In the United States, the copyright laws make it clear that it's violating the law when using any technology to break the DVD copy protection mechanism (DRM) applied to the commercial DVDs during ripping in Title 1 of the Digital Millennium Copyright Act (DMAC), and it is unlawful to rip DVDs for the purpose of commercial use without the consent of the copyright owner in Title 17. So if you are going to rip a DVD encoded with DRM, such DVD ripping is certainly unlawful. However, the Fair Use Doctrine allows for the use of copyrighted materials without acquiring the permission from the original copyright holder. You are entitled the privilege to create copies or rip DVDs or other media you legally purchased for use personally, as long as they are not redistributed publicly. So it is legal to rip DVD movies in case of any DVD damage or loss, travelling overseas or during flight or for educational purpose. Is It Legal to Rip DVDs in Your Country? 1. If you are creating your own DVDs which aren't copies of copyrighted work, it's completely legal to do DVD ripping. You have the freedom and right to copy, rip and copy DVDs that recoded by yourself. 2. Is it lawful to rip DVDs in the United States? Absolutely, it is illegal to rip copy protected DVDs. But some organizations make it legitimate for purchasers of a copyrighted DVD to rip it for personal use only. 3. 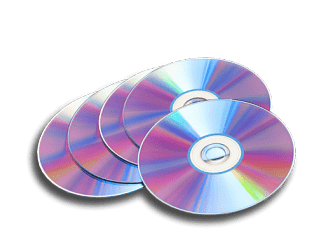 Is DVD ripping legal in the United Kingdom, making private copying is legitimated in 2014, but the private copying exemption was overturned in 2015. So it remains copyright infringement to make copies of DVDs. 4. Is it legal to rip DVDs in Spain, Netherlands, Australia, New Zealand, Norway? Citizens in these regions are allowed to make a private copy of their legally bought DVDs for private use. But the ripped files are now allowed for distribution. 5. Is it rightful to copy or rip DVDs in Canada? Although the Copyright Act of Canada generally says it's legal to make a backup copy of any copyrighted work including DVD, but this is realized on condition of not cracking a technological protection measures. Since most DVDs nowadays are encoded with copy protection schemes like CSS, Region Code, Disney DRM, ripping DVDs in Canada is most likely illegal. This is also true to Germany. So decrypting DVD is these countries are at a risk of defying the DVD copyright laws. 6. While in Japan and China, ripping DVDs and CDs is huge and you will have no problems. Technically, it is illegal to rip DVDs because most discs are riddled with copy protection mechanisms that are used for anti-piracy purposes. But there is a wiggle room, if you don't stress on the legality. We seldom hear news that one is sued or caught for the use of the DVD copy protection software at home. As long as you don't rip DVD for commercial use, sharing with others, or so, you are unlikely to get sued or caught, since the government just cares about the people who redistribute the copies of the copyrighted DVD movies rather than you doing it locally on your computer. So on the right side of the law, it's considered illegal to rip DVDs to your home theater. But you are willing to take the minimal risk, just rip DVD for use personally only. There are some free DVD ripper software like Handbrake, but they are bundled with spyware or malware deliberately harming your computer or cannot deal with the latest movies. For the best result, you can try MacX DVD Ripper Pro - the DVD ripping software for Mac and PC, which promises 5-10 minutes only to rip a full-length DVD movies yet reserving the best possible result. Note: Ripping and converting commercial DVDs are only for personal use. Please comply with your local DVD copyright law and apply the DVD contents for fair use. Ripping: Ripping originally means extracting music out of Amiga games and later refers to extracting WAV or MP3 from CDs. It was then applied to extract contents of any media, such as DVD and Blu Ray. Best free DVD ripper - MacX DVD Ripper Free enables users to make space-shift or format-shift the legally purchased DVDs and freely rip DVDs to MP4, MOV, etc, so that you can preserve your investment and watch them anywhere anytime. What Is DVD Copyright Protection?